The Astor extendable dining table is the perfect solution for everyday and entertaining table use. 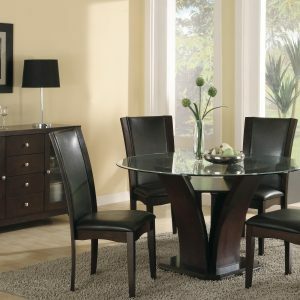 It easily transforms from a medium size (71-inch, with 8-person seating) to an extended (94-inch, with 10-person seating) table. 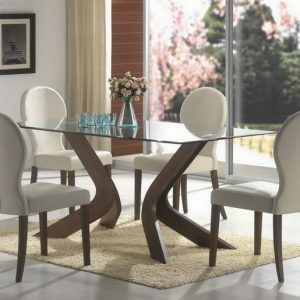 The table top easily extends from both ends revealing a hidden center leaf. The German-made mechanism within the table allows the tops to glide smoothly for perfect alignment every time. A weighted chromed steel base serves as the counter balance to the expansive top. 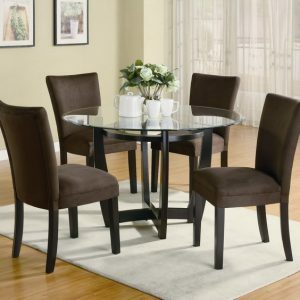 The ultra-modern Delancy dining chair brings a stylish flair into your dining room. A cool combination of chromed steel frame and premium eco leather, this dining chair is aesthetically balanced with originality and ergonomic design.